I was a guest on today's Diane Rehm Show on National Public Radio, along with Rachel Garfield from the Kaiser Family Foundation, Pamela Hyde from SAMHSA, and Richard Frank, the Harvard health economist. The topic was about the Accountable Care Act (ACA) and its potential impact on mental health and addiction services. They already have the recording up, as well as a transcript. "The deadly Colorado shooting underscores the need to better identify, diagnose and treat people with mental illness. Diane and guests will discuss the future of mental health services under the Affordable Care Act." Guests include Rachel Garfield from the Kaiser Family Foundation, Pamela Hyde from SAMHSA, and Richard Frank, the Harvard health economist. Links to the audio and transcript ARE HERE. Clink blogs about psychiatry's obligation to be careful in talking about the Aurora shooter here. Roy blogs about health care integration here. He's kind enough to tell us what health care integration is. And Home Inspection is now on sale for $2.99 on Kindle here. Is it Different for Guys? Men are less likely to get treatment for psychiatric disorders, more than half of those who seek help are women. Men are less likely to attempt suicide. But men have three times the number of completed suicides than women: they choose more lethal methods. So went to ManTherapy and listened to Dr. Rich Mahogany (I think he's an actor, the site says he's not a real therapist), I surfed around his office where there's a dead creature with antlers on the wall, seating that's from a baseball stadium, and I took part of his symptom checklist test (it's not the M3). The site feels like a parody of all things masculine. I'm not a man -- so I'm not sure how to call this -- but I think if I were a distressed man, this wouldn't make me feel more comfortable getting help. It's not that listing resources might not be useful, but I just wasn't sure. If you feel like checking it out, surf over to Mantherapy and tell me what you think. Home Inspection has been available as an e-book on Amazon for 8 days now, and it's been available as a free download for 2 days, and will be available for free until Wednesday at 9 PM Eastern time (midnight, Pacific time). It's sold a few hundred copies to date. So far, 4 reviews on Amazon with the full range 1, 2, 4, 5 stars. bsw says it's a great read. Sacco says it's fiction for low-brows (it's not enough to insult the author, ya get the reader, too)-- fluff at the 2nd grade level. A second Amazon reviewer also called it fluff, but noted they'd seen worse writing. Rob and Tigermom have both emailed me saying they like it. (I'll omit any details beyond this because they were private emails). Sarebear enjoyed it and had mixed feelings about reading the therapist's perspective on therapy (Is that a fair summary) and was kind enough to point out some typos to me that I fixed. Meg, with her doctorate from Harvard, stopped after 5 chapters to put an endorsement up on her Facebook page. A says the sample chapter of my other novel was annoying with bad grammar, spelling errors, no plot, and unsophisticated writing, so this book must be the same. A Critic found the beginning stiff, compares it to In Treatment, but is now enjoying. A couple of people have mentioned that the psychiatrist has too many problems, and people seem to have feeling about his sexual issues. So you know, I wrote this novel about 10 years ago, well before the In Treatment series. An agent represented it, but couldn't sell it to a major publisher. I tried small publishers, and one asked to meet with me to tell me what was wrong with it: he suggested it would read better if the story was told in first person, and so I re-wrote it, changed the names of the patients, and retitled it Patient Pursuits and began another round of looking for agents. At some point, I surrendered, wrote another novel and that was so bad, even I couldn't stand to read it. Somewhere in there, I wrote a children's book, Mitch and Wendy: Lost in Adventure Land, and then Double Billing-- which I hoped would have more commercial appeal. I forgot about Home Inspection, and then remembered it. I thought this would be a good time to pitch it because of it's similarity to In Treatment. How I watched seasons of In Treatment and didn't think "hey, I wrote a book with this format," ....I'll never know. Roy convinced me to give Amazon's publishing a try, and so I'm starting with this novel, but the other two will go up soon, hopefully later this summer. Is it good? Is it fluff for second graders? You be the judge. I think what's unique about it is that it's a psychiatrist's view of psychotherapy, and while it's not all completely on target because it is fiction, the give-and-take, and how the shrink's thoughts wander, do have a realistic feel. Chat here, if you'd like, but please also put your reviews on Amazon. And I'd be very appreciative if you'd tweet, blog, and link it on Facebook so others can find the free promotion. I ran into this 2009 piece on New Statesman by Helen Lewis that links to footage of forensic psychiatrist, Park Dietz, describing best practices for how news media should NOT cover a mass murder. Don't start the story with sirens blaring. Don't have photographs of the killer. Don't make this 24/7 coverage. Please do download Home Inspection while it's available at no cost. If you wouldn't mind-- I would be most appreciative if you'd tell your friends/ blog/ tweet/ or Google+ about the free promotion for my novel about psychotherapy and the quest for love. And as we always say on our podcasts "Go to Amazon and write a review." If you liked In Treatment, I think you will like this. Over on KevinMD, Dr. David Kupfer has an article up called DSM-5 Will Capture the Dynamic Nature of Mental Illness. Huh? Let me start by saying that Dr. Kupfer has been an influential person in my course to becoming a psychiatrist. In the 1980's, he ran a program called The Mellon Fellowship in Psychiatry for Undergraduates, where he paid undergraduates to spend 8 weeks in Pittsburgh doing research and observing clinical settings at Western Psychiatric Institute and Clinic. I was a Mellon fellow. I hit medical school knowing I wanted to be a psychiatrist and with a notable head start on the other shrinks-to-be. But I don't see how the DSM-5 captures the dynamic nature of mental illness. From what I can tell, it's like the DSM-5: checklists of symptoms that either box you into a category or exclude you from it. The DSM is a very useful tool for researchers --- it lets them be sure that when they test a medication on a group of people with "depression," that those people have a similar condition. Clinically, it's not that useful. I'm sorry, you're suffering terribly but you only have 4 symptoms and you need 5, so you don't have an illness and so I'm not prescribing a medication for you, not coding it on your statement so you can get reimbursed, and you'll need to leave now. Oh, that's not how psychiatry works. Psychiatric disorders are dynamic in nature. People get better and you never hear from them again. Or years later, they call and say "I saw you way back when, I stopped taking medicine because I felt better, I've been well for years, but now I'm having trouble and I'd like to come see you again." Sometimes they have a recurrence of the old problem, sometimes they're having a rough patch that has nothing to do with their past issue. Some people have chronic illnesses and stay chronically symptomatic, others don't. We know surprisingly little about the course of mental illness. And when you start to talk about developmental illnesses, we really know very little. I can't tell you how many teenagers I've known, or known about, who've been horribly distressed or disturbed, who clearly meet criteria for major mental illnesses -- often life-threatening-- who benefited from treatment (medications and psychotherapy), but who seem to age themselves out of their problems. Was it an episode/s that will recur in years to come? Or was it just a bad teenage phase? Of course these kids need treatment, but if we're making diagnoses dynamic, we need to acknowledge that we don't know if these kids have lifetime illnesses or transient phase of life issues. I'm not so hopeful that DSM-5 is going to prove to be a clinically useful tool. Your thoughts? 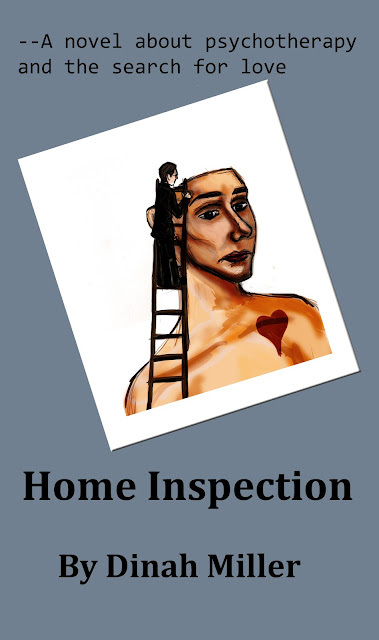 So you're not sure if you want to download my novel, Home Inspection, from Amazon's e-book collection? At the hefty price of "Free" from July 22nd to July 25th, I'm hoping this will give the book a little momentum. I thought I would put a little of it on Shrink Rap and you could see if you're interested. If you like it, please let your friends/blog readers/ twitter followers/listserv members and anyone else who would be interested in knowing about the free promotion. It is as though there is a window of opportunity for falling in love. If it happens when one is too young, circumstance and immaturity often create insurmountable obstacles. If it happens too late, well….that's when the anxiety begins. For it's not just a When? but a What if never? that bring so many to the therapist's doorstep. People settle, and they don't like to admit that they do, but they settle for less than love. Perhaps they believe they will never find that magical soul-filled spark that will make their hearts pound and their bodies alight, that will sound the metaphoric sirens that let them know they have found their one, and possibly only, life partner. Instead, they bank on safety and the reassurance that they will not grow old and infirm alone. So I thought it was to be with Polly. I thought she would settle. And yes, I was happy when we both realized that her window still remained open, though it seemed to be quickly falling shut as her newly beloved belonged to someone else. I should have realized much sooner what was going on since both sides of the story developed before my very eyes. But I see so many patients—I just could not link it and my patients made the connection first. Of course, they thought I knew. It seemed so obvious and, in retrospect, it was. Let me tell you why I love my work as a psychiatrist. It's not what you'd think—it’s not the money, the prestige of being a doctor, and it’s not even the satisfaction of knowing I make a difference in peoples’ lives. It's the intimacy, that flicker of connection, those momentary seizures of intense emotion when one person feels completely understood by another. They happen all too seldom in the real world. In my personal life, those moments of intimacy and connection had fizzled away and my work was all I had left to cling to. It had become my life raft. As it would happen, these particular patients helped me to regain my own footing. Their therapy healed me as it healed them. It’s not actually supposed to work that way, but things did not go according to a formula. Here and there a psychiatrist has a great story—one he would love to shout to everyone he passes on the street—and this is one of them. It is a story of coincidence and of heartfelt romance and usually we head for the theatre to experience this. You need to know that such tales of love are not just fantasies of escape concocted by screenwriters. I am bound to the confidentiality mandated by my profession and I have discussed with Polly and Tom (not their real names) what it means for them to allow me to tell their stories. They have consented to let me tell it this once and the forms and releases have all been signed. I must ask that you listen with the appropriate degree of dignity, respect, and sensitivity to the narrative which follows. It was good they showed me that love's window of opportunity exists only in our minds. Join me for a brief Clink rant over at Clinical Psychiatry News as I provide a counterpoint argument to people who think that med check practices are destroying psychiatry. I'd like people to acknowledge that all medication management practices are not the same and that it is possible to provide good care while working in a "split treatment" or team model. With health care reform on the horizon, more practices---psychiatric and otherwise---are going to have to move to the "medical home" model and this is likely to require closer involvement with non-psychiatrist therapists. Medication management is here to stay, the team approach works, and more psychiatrists are likely to be involved in it. Psychiatry needs to adapt and it helps no one to paint all med management with the same negative brush. 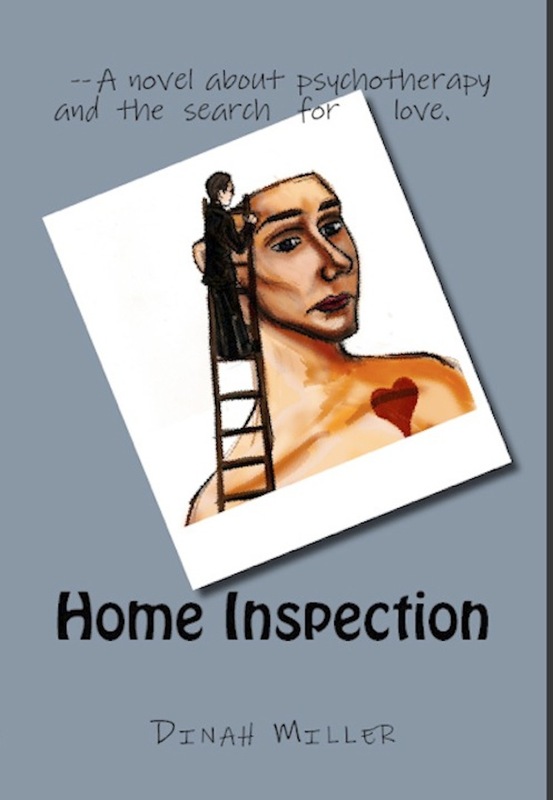 Home Inspection is now available on Amazon as an e-book for $3.99. Prime members can borrow it from the lending library for free. Amazon allows authors to promote books for free for a few days, and since I'd love to have people read my book -- and I'm hanging on to that day job anyway -- the e-book will be available starting this Sunday, 7/22 for 4 days, at no cost. If you don't own a own a Kindle, you can install a free Kindle app on your computer, tablet, or cell phone by going here, and then you can download any Amazon e-book. Not only would I like to invite you to download my e-book for free, I'd like to invite you to tell anyone you think might enjoy, to put it on your blog or tweet it (especially if you have a mental health related blog), and to come to my 'virtual' Facebook event. It's virtual, so sadly no food or ducks, no wine or song, but you can 'attend' and still watch baseball. What's the book about? Love, psychotherapy, hope, relationships, getting over the past and moving on. It's told in the voice of the psychiatrist, so a bit of a look at what's happening on the other side of the metaphorical couch as he thinks about his patients, his problems, and the process of therapy. Home Inspection presents psychotherapy in all its richness, messiness, compassion, and uncertainties. If you want to explore the complexities of insight-oriented therapy "from the inside," this is the book for you. --Ronald Pies MD, author of "A Consumer's Guide to Choosing the Right Psychotherapist" and"The Heart Broken Open." I think we have to wait and see what everyone else says. If you read it, please go to Amazon and write a review! Even if you're not interested in forensic psychiatry, I'd encourage our readers to wander over to The Crime Report to read an article by my esteemed colleague Dr. Erik Roskes. 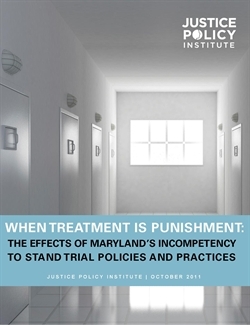 He has written an excellent piece entitled "Sentenced to the Max Without Benefit of a Trial", about the role of prosecutors in the continued confinement of incompetent and unrestorable criminal defendants. This practice has recently been criticized in a Justice Policy Institute report published last year. Still, the practice continues. Podcast #67 : Things Get Flighty. Podcasting got off to a slow start today. We haven't done this in a while, and ClinkShrink recently upgraded her computer to Lion and it was not compatible with our MultiMix8FireWire mixer. It was a long time trying, when Clink realized she'd downloaded a new driver without plugging the mixer into her computer. 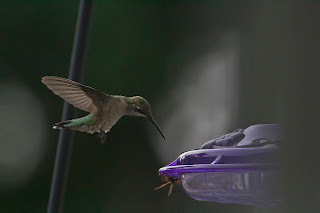 She started the process over, and once it actually worked, there was the distraction that Clink and Roy both kept noticing birds at the bird feeder on the deck and Clink would have to stop what she was doing to take photos with a lens that doubles as a full-sized baseball bat. The photo above is one of Clink's visiting birds. Now there is some issue with a hat, and who knows what Roy is doing in the kitchen, but we're only two hours behind schedule, and I was late, so what can I say. Roy spoke with folks at the American Association of Technology in Psychiatry about how Electronic Health Records have not lived up to their promises. In Michigan, there's a law that makes it a felony for a medical professional to put wrong information in, yet "the software requires you to commit a felony." Here's a link to the Michigan law. Roy talked about an Australian hospital where someone got in trouble for falsifying wait times in the electronic health record. We talk about Rob's blog post: A Funny Thing Happened on the Way to Meaningful Use while we're rambling about electronic medical records. Dinah mentioned the little bit of research she'd done on e-prescribing. 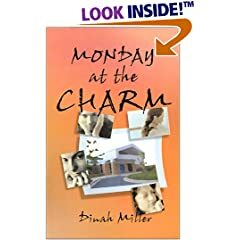 We talked about Dinah's novels, past and future, including Monday at the Charm and her soon-to-be released novels on Amazon. Home Inspection will be available as an e-novel on Kindle, momentarily. No link quite yet. We gave a list of our upcoming public talks-- these are in our sidebar. And finally, we talked about the New York Times Magazine article called When My Crazy Father Actually Lost His Mind by Janeen Interlandi. The winner of our podcast contest, mentioned at the end of our Jan 7 podcast, was "rossflem". And now I know what the hat was for-- Roy was pulling a name from it! We'll be sending Ross a signed hardback copy of our book, "Shrink Rap: Three Psychiatrists Explain Their Work." In the comment section of some of our blog posts, there have been comments about psychiatrists who lie. While I haven't kept a tally of these remarks, I think the most common assertion is that psychiatrists lie by telling patients they have to remain on medication for the rest of their lives. My understanding of the term verb "to lie" is that it requires the person who utters a communication to know that it is not true, and it often is accompanied by a deceptive motive. So, for example, if a patient has a UTI that can be treated with a cheap antibiotic taken for three days and the doctor knows this, but he is getting a kickback from the pharmaceutical agency and he's having trouble filling his schedule, so he prescribes the expensive antibiotic and tells the patient "You must remain on this for life, and you should come in for weekly visits or you will most certainly die," then this is a lie. In medicine, we know very little for sure. Every now and then we do know something absolute, like that if you do nothing about a specific condition, you will die. What doesn't get said is that even if you do something about it, you may still die, and that no matter what, eventually you will die. Doctors seldom know that you must do anything, when they say you must, or you should, or you need to, they are making a suggestion or recommendation based on the evidence that is available. It's rare that evidence is complete. You need to remain on this psychiatric medication for life is not any different in my book then You need to remain on a statin for life, or a blood pressure medication, or aspirin. Maybe you have risk factors for coronary artery disease but it's possible you could live out your life without a statin without having cardiovascular disease, in which case you didn't "need" the statin. Was your primary care doctor lying? Of course, in the meantime, the statin could give you muscle problems, cause diabetes, or increase your risk of death by other means. Oh, and while we're here, you "need a pap smear every year." Oh, except now it's every 2 or 3 years, and not after 65. Does every woman over 40 "need a mammogram?" Maybe it's 50? Depends which agency you ask. And don't start me on calcium, vitamin D supplements, yearly PSA measurements, hormone replacement therapy, biphosphonates and all the other things we're told we "need" until it turns out they kill us. (Please note, there is nothing that currently indicates that vitamin D kills you and calcium only gives you increased risk for kidney stones, it doesn't kill you, and biphosphonates don't kill you unless perhaps they give you esophageal cancer). When a patient is told they "need" a psychiatric medication for life, it's because the doctor believes the risk is high that the psychiatric disorder will recur without it. 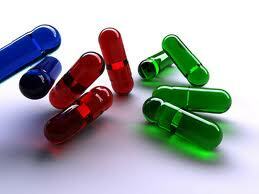 Sometimes, it seems like a fair bet or that the risks are too high to chance NOT staying on a medicine. Seven episodes of disabling major depression that caused the patient to lose their jobs, spouse, and have 4 hospitalizations and 3 serious suicide attempts? Might not be a bad idea to stay on those meds, and you might not need such an extreme example to get there (I like to stay away from the lines). Sometimes, we're wrong -- after all, the recommendations are based on studies and statistics from groups of people with symptoms or illnesses, not on individuals. The truth is that for most of these things, you don't know for sure until you try stopping them and see how you do without them. But to call the doctor a Liar? Isn't that going a bit far? Might be better to consult a fortune teller rather than a physician. Are "med checks" as the mainstay of psychiatric care just a racket? I wrote about this on our column over on Clinical Psychiatry News. While I think that brief med checks are fine for some patients, and even all they might want, as a standard paradigm for psychiatric treatment in a one-appointment-length-for-everyone, I think this is destroying psychiatry. What do you think? And speaking of rackets, Roy had a article up there last week on Insurance Networks and mental health parity. Does your insurance network list psychiatrists who aren't taking new patients, who don't see outpatients, who only do research, or who are dead? And just in case you missed it, Clink had yet another article about maximum security prisons, federal lawsuits, and the treatment of prisoners. Home Inspection has a Cover! I've been working on getting my novels ready to publish on Amazon's Kindle Direct. Look, I have a cover! My thanks to Natalie Adachi for the totally cool art work! The book should be available soon, assuming there are no more wretched derechos. Why change the subject while everyone is having such a good time? Perhaps Sarebear could pass around some cheese and crackers and Rob could pour some wine? Alison, do bring some fruit or a baguette. So I asked Dr. Breger if he had any thoughts, and from his vacation, he was kind enough to write us a guest post. 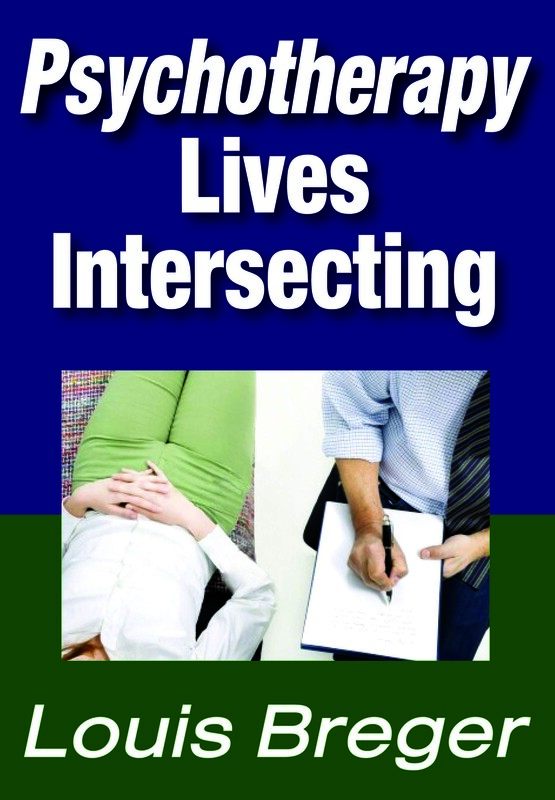 In my book "Psychotherapy: Lives Intersecting", which Dinah was good enough to review, I talk about failed cases as well as successful ones and try and spell out the general ideas of what makes good and bad therapy. Many of the commentators have already touched on the main points, which I can sum up with what I call The New Fundamental Rule: you can do a lot things as a therapist but they must be for the patient's needs and not the therapist's. This would include revealing things about yourself, the use of humor, apologizing for mistakes (almost always a good idea), and the like. 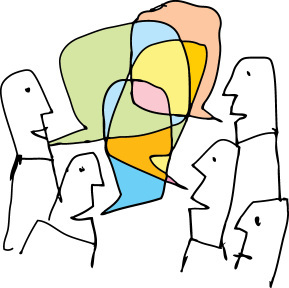 Many of the things reported by the commentators are examples of what I would see as always bad therapy: not listening attentively, being judgmental or critical, laying on diagnostic labels (though sometimes appropriate if the patient asks for it), and -- very common -- cramming the patient into one's theory rather than listening to what is being said and working out an understanding in a cooperative manner. Some of the later commentators discuss psychoanalysis and contrast it with other forms of psychiatry. This is a complicated issue since there are many forms of psychoanalysis and many analysts some good and some terrible. Having trained years ago in a classical psychoanalytic institute, and having written two biographies of Freud, I think I am in a position to say that old style Freudian analysis is, for the most part, useless if not harmful. Freud himself did his best work when he didn't adhere to his own rules. The idea of a fixed fee, or charging for sessions no matter what, are bad ideas. Even worse is the ever silent analyst who gives theory based interpretations rather than closely listening to the patient and working out understanding in a mutual fashion. Caring, being friendly, being open minded, honesty, and acting like a real person rather than an all-knowing god, are all helpful to patients. These are the things to look for if you are trying to pick a shrink. There is also the very important issue of the match or fit. Not every therapist will be good for every patient so you have to basically trust your emotional reactions or instincts. If, in the first session or two, it just doesn't feel right, try seeing someone else. Do check out Dr. Breger's website where you'll note that he has written two books on Freud. My last post, Psychotherapy: The Down Side has lots of interesting comments. As usual, what our readers have to say is the most interesting part. I asked both Dr. Ron Pies and Dr. Lou Breger to write guest posts about the topic. Dr. Pies put his in the comment section, so I'm reprinting it here. I asked him because he's written a book about how to choose the "Right" psychotherapist, so I figured he would enjoy the discussion. Stay tuned for Dr. Breger's guest post later this week. Dinah has invited me to comment on this interesting discussion, and I'm pleased to do so! I have found the discussion informative and sophisticated, and actually have little to add, except for a few important distinctions; namely, it's helpful to distinguish "bad therapists" from "bad therapy", from "inappropriate" or "mismatched" psychotherapy. I will focus on the last category. Historically, we have two fairly extreme examples of "mismatched" or inappropriate therapy. The composer, George Gershwin, complained of chronic headaches. These were (mis)diagnosed as a psychosomatic problem, and treated with psychotherapy. He turned out to have a brain tumor! The take-home here is to be sure that so-called psychiatric problems have been properly evaluated for an underlying OR contributing medical or neurological cause. The other historical example comes from the treatment of Borderline Personality Disorder. Leaving aside the many controversies regarding this diagnosis per se, the syndrome (it is probably due to a variety of causes) was first identified in patients who "fell apart on the couch"--that is, they had very bad reactions to classic psychoanalysis. The deeper the analyst probed, the more regressed the patients became. It is now generally acknowledged that while psychodynamically-oriented therapies may be adapted for use in patients with Borderline PD, "classic" psychoanalysis is usually contraindicated or very risky. Most psychiatrists would also argue that psychoanalysis per se is inappropriate for patients with schizophrenia (in which, however, cognitive-behavioral therapy may sometimes be a helpful adjunct to medication). Other examples of "mismatched" treatment include: 1. use of classic psychoanalysis alone for treatment of substance abuse (which rarely responds to psychoanalysis alone and may actually worsen); 2. use of psychoanalysis for most cases of male sexual dysfunction (which are often due to physical factors or performance anxiety, and can be treated in a matter of weeks with more appropriate behavioral techniques). I do not mean to "pan" classic psychoanalysis! When used for the right type of patient with the right type of problem, I believe it may be helpful, although solid controlled studies are lacking (and are very, very tricky to design, since "blindng" is nearly impossible!). Cognitive-behavioral therapy (CBT) may also be mismatched with the "wrong" type of patient; for example, CBT alone is unlikely to control severe bipolar disorder (though it may be a good adjunctive treatment)or be very successful with some personality disorders (e.g., antisocial PD). Finally, there is premature or unnecessary psychotherapy. After 9/11, it was found that those exposed to the trauma actually did worse than controls when they were given a form of "crisis de-briefing" treatment--maybe because it was provided by therapists unskilled in working with traumatized patients. (It is easy to make things worse in traumatized patients, by over-stimulating the traumatic recollections without the proper psychological "safety nets"). Finally, as some readers have wisely noted, nearly every useful medical/psychological treatment can have unintended or negative consequences, if given to the wrong person for the wrong reason--including aspirin and over-the-counter antihistamines! In general, there is abundant evidence that all the major forms of psychotherapy are of benefit for the common conditions we treat; e.g., most depressive and anxiety disorders. But correct diagnosis; matching of treatment, and a "good fit" with an empathic therapist are critical predictors of success. For more about Ron's and links to his many books, check out his Amazon page here. In my review of Lou Breger's book Psychotherapy: Lives Intersecting, several readers commented that they felt injured by psychotherapy. It's a favorite topic of ClinkShrink who wrote the section for our Shrink Rap about how therapy can be harmful, and likes to note that any treatment with the potential to heal also has the potential to harm. So I got to thinking Why Would Psychotherapy be harmful? There's bad therapy, like those mentioned by ClinkShrink and by Dr. Breger, where the therapist has their own belief system and thrusts it upon the patient, whether or not the patient feels the interpretations resonate. 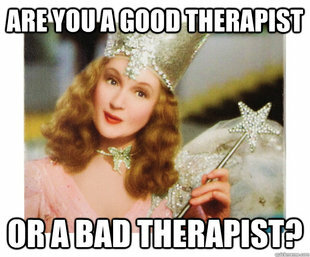 We've talked before about what makes a good therapist. Maybe we should talk about what makes a bad therapist? I'll give you my list, please write in and add to it. Forgets to show up for the sessions (repeatedly, we all have emergencies or calendar/technological failures). Does not return phone calls (or other communications) or is generally not responsive. Over-emphasizes money issues with patients who have traditionally paid. Makes interpretations that don't feel relevant to the patient and insists they are true even when this repeatedly upsets the patient. Takes non-urgent phone calls during sessions routinely. Is generally disrespectful of the patient (curses at him, eats pizza during the session, berates or belittles him). Is preoccupied and not attentive on a regular basis. These were my thoughts off-the-top of my head, certainly not a comprehensive list, but this list is more inclusive and includes a list of more obvious red flags like licensing issues, the therapist initiating a physical relationship, revealing the identities of other patients, etc. I want to say that there are always exceptions, and so these "bad therapist" ideas need to be general. If the therapist just found out his wife has cancer, he may be less sensitive than usual or preoccupied, it doesn't mean he's a bad shrink. And therapists have their own bills, and their own individual financial issues which may or may not permit them to be flexible or reduce fees, but some ways of talking about fees are more sensitive than others. Finally, there is no perfect therapist: Someone who does everything wrong and has an awful reputation may be seen in a totally different light by a patient who feels very helped by his/her style, and the most wonderful of shrinks will still see patients who don't like them--- there's an element of chemistry that can't be ordered off the menu. So tell me your list of bad shrinky things to do. Roy has convinced me that e-publishing on Amazon is the way to go with my novels and my summer project is to get them up on Amazon's Kindle Direct. One option on the Kindle e-publishing allows for authors to give their books away for free for a few days to promote them, and if this is an option I can use, I will be offering the first book, Home Inspection, for free to our Shrink Rap readers. I've been aiming for a July 15th release date, but the wretched derecho and the power failures that have ensued may have slowed things down. The young woman who is designing a cover for me had a tree in her bedroom and no power for 5 days, so we'll see. A lot needs to get done in the next few days for this to happen by the 15th. I just set up a Facebook Page for Home Inspection, if you'd like to read a little about it, click here. While I wrote this novel many years ago, it is very much like a book version of the HBO series In Treatment. The entire course of the book takes place in a psychiatrist's office and Dr. Julius Strand struggles with his own issues -- many of the same issues that In Treatment's Dr. Paul Weston faced around divorce, relationships with his children, and finding meaning in his life -- as he helps two patients sort through their own romantic confusion. But wait, you don't have a Kindle or an e-reader? You can download a free Kindle app to your PC, Mac, iPad, android, blackberry, iPhone, or iTouch. If you'd like a real book, I'm hoping to simultaneously get the books up on Amazon's CreateSpace which will allow readers to order hard copies, but I haven't even begun to figure that one out. Okay, so Louis Breger is a psychologist in California. He's not just a psychologist, he's also a psychoanalyst, at Caltech, no less. Caltech has psychoanalysts? I thought Caltech had math geniuses and computer geeks. I thought this because my brother went to Caltech, and one of my good friends from high school also went there. My brother has written such books as Computer-Aided Financial Analysis, and my friend is a physicist in a linear accelerator (SLAC, to be precise). Neither has ever mentioned a word about Oedipal complexes, ids, egos, pleasure principles, or psychoanalytic anything. Okay, so apparently there is a psychoanalyst at Caltech. In the introduction, Dr. Breger starts by talking about how Marsha Angell says anti-depressants don't work. My feelings? Annoyed. Then he mentions that they've helped some of his patients, he's neither for or against them. I kept reading. The premise of the book is that after decades as a psychotherapist, Dr. Breger contacted his former patients and asked them to fill out a questionnaire. He wanted to get their feedback on their psychotherapy. If you know me at all, you know this is an exercise I'd find very cool. Who writes to their patients 30 years after the end of psychotherapy and asks What did this mean to you? What a great idea, it inspired my admiration, and the positive transference began. It seems that most of Dr. Breger's patients are in multiple times a week therapy for years. Okay, that's what analysis is, but who can afford that? My feeling: a little jealous. Maybe it's something I would have wanted to check out, but with my medical school debts, then childcare/tuition/etc, it wasn't an option back then. And now-- still too expensive, terribly time consuming, and hard to rationalize putting this degree of resources into something for the sake of intellectual curiosity. It's a mixed kind of envy, however-- one psychiatrist I know spent 11 years in analysis conducted at 6:15 every morning, and as someone who is not a 'morning person' such an endeavor would be unthinkable. Many, if not most, of Breger's patients are psychotherapists themselves (or in training), and many had been in therapy before and had experienced unsatisfying, if not traumatizing, relationships with therapists who sounded to be rigidly engaged in a therapeutic stance that lacked empathy, warmth, and any degree of kindness or humanity. Dr. Breger broke that mold and his patients seemed to all comment on his kindness, attention, non-judgmental stance, and that he cared about them. These were the qualities they found healing, and few seemed to mention great insights or spectacular interpretations. He brought one patient cookies. My thoughts: What a nice guy. I think I'd like talking to him. And if not, I do love cookies. It presents therapy as a corrective healing response, often good for those who've had critical and damaging childhood relationships. After a bit, it felt repetitive: the patients said the same things--- they all thanked him, they all appreciated him, they all contrasted him to the prior therapists who were personally related to the devil. He has no patients that didn't like him? That weren't full of gratitude? Even wonderful psychotherapists aren't wonderful for everyone, there's some chemistry there, and there are some very particular patients out there who manage to find fault with everyone. I went through a brief phase of feeling annoyed with Dr. Breger. Is he a narcissist? Why write about all the kudos? Ah, but he redeemed himself later in the book-- he tells us he only wrote to his long-term patients where psychotherapy seemed helpful, that he didn't want to trouble people who would be distressed by the request or communication, and he mentions that some people left therapy early on, and one even got better with medications and didn't want psychotherapy. So it's not a research study in the double-blind, placebo-controlled, all results are fair game for publication, type of project. Knowing that such patients existed and were acknowledged as such, in reasonably respectful terms, left it more realistic and honest. I liked the book again. There were some intensely personal moments. The author talks about his own childhood, including his insecurities, his mother's mental illness which included hospitalizations and repeated suicide attempts, and his father's fatal heart attack. His grandmother also suffered from depression and had a lost a child, one his mother was born to replace. I enjoyed getting to know him and his family. At one point, Breger talks about allowing patients to call him while he was sick in the Intensive Care Unit. While I might like to feed my patients cookies, and I certainly try to be responsive and available, this was a degree of availability and patient-first mind set that made me uncomfortable. For my own sense of sanity and boundaries, I'd like to think that if I'm ever so unfortunate as to be in an ICU, that I could simply be sick, fight for my life, and be 100% patient, without having to remain as anyone's doctor, at least until I was healed enough to be released from the hospital. While it's nice to be able to reassure patients, it seems that having a colleague cover should be enough, and I never want to be this indispensable. Dr. Breger is a psychoanalyst-- a training analyst at that-- and this shows in the way he looks at problems as the result of childhood (or at least long-ago) events. There's little room in his paradigm that allows for genetics or biology, or illness. He's not shy, however, about discussing his disdain for psychoanalytic practice-- for it's abstinence, rigidity, coldness, and adherence to a theory that leaves little room for individual differences. The theory, he asserts, can be practiced in such a way that it is thrust upon patients, and if they don't buy the interpretation, they are "resistant." He seems to have found a way to draw out positive and helpful aspects of psychoanalysis while abandoning the parts that make it impersonal, rigid, and even mean. After the therapy is completed, the doctor-patient relationship is left to the patient. In some cases, Breger becomes friends with his patients, they continue in various forms of contact, ranging from a holiday card to visits to each others' homes for meals. In this sense, this is a different world from my professional life where it's hard to imagine purposeful on-going social relationships (including spouses) with my former patients. Perhaps it's the difference between being a psychiatrist, a non-analyst, practicing in a different decade, and in a different state (California has it's own rules, right?). 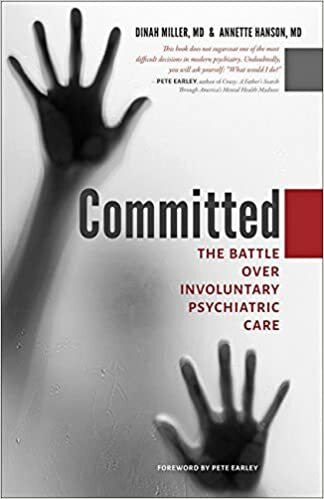 In thinking about this book as a teaching tool for young therapists-- or psychiatry residents in training-- I'm not sure that it's value lies in contrasting a warmer, more responsive therapy to traditional psychoanalysis. I'm not aware of any young psychiatrists who are entering training in traditional psychoanalysis, but perhaps that's a function of where I practice, Still, this book provides a historical perspective that is difficult to capture as psychoanalysis fades as a primary treatment of mental disorders. The biggest strength of this little book, however, is Breger's easy writing and warm, inviting, and caring style. At just over 120 pages, it's a quick, compelling, and enjoyable read, written by a man whose masterful skill as a psychotherapist weaves through every page. Here in the Mid-Atlantic, we've been having issues. In fact, we've gotten a whole new type of weather event, the wretched Derecho. And, to think, I believed I'd heard of all types of weather. Mostly cloudy. Partly sunny. Rain. Wind. Cyclone. Typhoon. Toronado. Tsunami. Hurricane. Gale-force winds. Snow. Blizzard. Hot & Humid (we do that well). Fog. Hail. Wintry mix. Now we have derechos. Known as a derecho, the string of storms combined intense lightning and rain with hurricane-force gusts as it swept from the Midwest into the mid-Atlantic Friday night. Meteorologists blamed the violent weather on the prolonged 100-plus temperatures that blanketed the eastern United States last week. Derechos typically form when an atmospheric disturbance lifts the warm air in regions experiencing intense heat, causing thunderstorms and hurricane-force winds to develop, AccuWeather meteorologist Brian Edwards said. Traveling at an average speed of 60 miles per hour, Friday's storm took 12 hours to cover more than 700 miles before reaching the Atlantic Ocean. Okay, so I admit, I was not here for the event. I was in the tropics, enjoying sunshine and 85 degree weather (70's at night), far away from the heat of my hometown, only to return north to massive power outages, downed trees, and 102 degree heat without air conditioning. I spent my first day back in a laundromat, chatting with another psychiatrist while my laundry twirled and my laptop and phone charged. Funny, I imagined that laundromats would have upgraded since my younger days and have air conditioning and wi-fi, but that was not to be. By 10 o'clock last night, I was one of the lucky ones. My power returned to both my home and office. It returned before I had cancelled my patients--my office mates were less optimistic and it made for a quiet day in the suite. The joy of social media, 3G, 4G, and constant connectivity is that one can make interesting observations about how power failures/ cable outages/ and technology failures-- as people post their angst on Facebook. I will tell you that I've noticed that the symptoms one sees with power/cable outages and the resultant rise in body temperature and withdrawal from technology...well, it all looks a lot like what we see with psychiatric disorders. Maybe a diagnosis for DSM-5-revised? What symptoms do you experience in a power outage?